If you are looking for an online quiz builder, Thrive Theme's new WordPress plugin is one to consider. It's a "fun, easy and versatile" quiz maker that can help generate leads. But if you think a quiz/questionnaire type of thing is "irrelevant" to your blog or niche, then think again! There must be something that you want to find out from your readers. People search on internet to solve their questions, and equally they're willing to test their knowledge, share their knowledge and opinions. In every topic in the world. So here we are, Thrive Quiz Builder is my recommendation today. Result page with social share icons (optionally with a bigger social share badge). 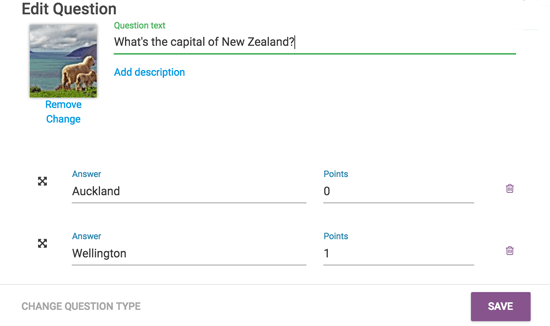 Decide whether you want to start from a template, or build a quiz from scratch. 2 types of template; (a) one with an optin form underneath the result score or (b) "social share badge" - a result page especially made for social share. Choose evaluation type (a) number (b) percentage or (c) category (see below). Choose a quiz style - there are 4 styles to choose from. (a) light blue (b) dark (c) abstract (d) architectural. ​Each question can be made with or without an image. Also each answer option can have an image. 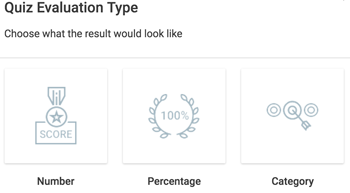 Choose the result page; unless you've chosen a pre-made template, you can either choose (a) a simple page that shows the result (b) result with an optin form or (c) result with a social share badge. That's all it is, and each quiz is supplied with a unique short code within the builder. All you have to do is copy & paste the short code anywhere in your web page. By number, e.g. "You answered 8 out of 10 questions correctly!" By percentage, e.g. "Your knowledge score: 80%"
Typically a number or percentage display can be used ​for a knowledge quiz, where there is one correct answer. Whether each answer is correct or incorrect is determined by the weight (=number). For a typical knowledge quiz, you mark "1" on the correct answer and "0" on all other incorrect answers, like the example below. At the end of say, 10 questions, it will count the total number of "1" and show the result. "Who is the current president of USA?" It's an easy question so you mark "1" on Donald Trump and "0" on other answer options. More difficult questions such as "In which decade did World War II break out?" It was 1939, so you mark, say "5" on the correct answer, 1930's. With other incorrect answers, you mark "3" on 1940's because it's pretty close, put "0" on 1990's because that's pretty dumb. Put even heavier mark (say "10") on extremely difficult question...and so on. Percentage - "You're 65% gay!" Category - "You're camp as a Christmas tree!" "You're deadpan straight! ", etc. Now for example "How secure is your house?". The security can relate to a protection from intruders and can also relate to a safety issues such as fire risk. 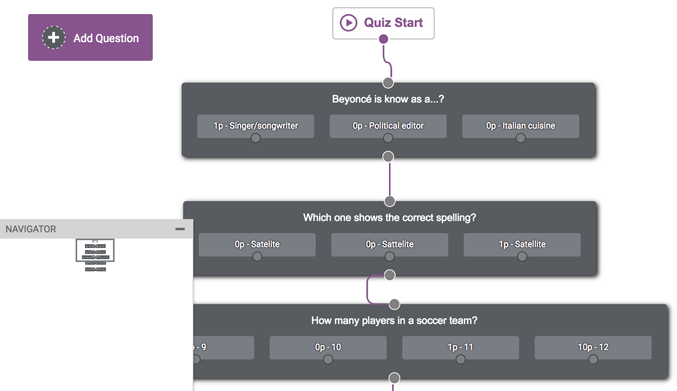 And of course Thrive Quiz Builder allows you to create a multidimensional quiz like that. You can branch your questions into other questions in specific paths. For example "Do you have a smoke alarm in your house?" If they answer yes, you send them down to a path to a different set of questions. And if they answer no, you send them down to another path where they answer more relevant question such as why they don't have a smoke alarm - Don't feel necessary? Ever thought about getting one? etc. And this is where you preset the evaluation type (=the result) by category such as "Ambulance Alert!" "Burglar Welcome!" etc. Drag & drop Q&A's to create a "question tree" in seconds. Quiz Will Reflect Your Personality - No Choice! I never thought raising multiple-choice questions would be quite so mind-boggling until I actually started to play around with this plugin. 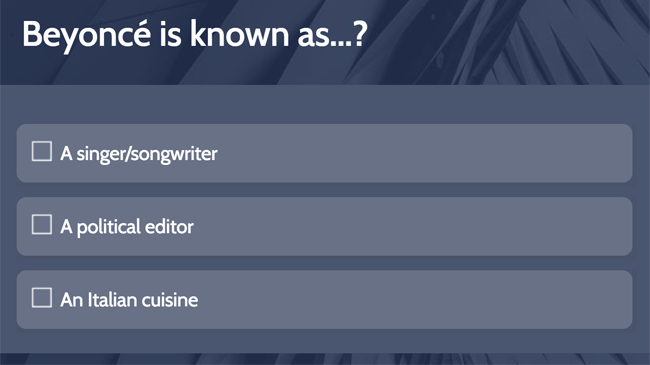 Not just a simple Beyoncé quiz but when you start to think deeper - about the connection with your readers, about creating something mutually beneficial. You are asking your valued visitors to participate, so the quiz should be clear, concise, and have some level of entertainment value. You probably know that. You want this plugin because you want to find out what your readers want from your site (e.g. more reviews? discount offers? latest news about your niche?). You know that too, and you might have some questions in mind already. But how you actually structure it - the flow of the questions, answer options and how you "weigh" the answers by numbers - is going to be what you are. And the more you input your thoughts, the more unique personality will be added to the quiz. And if it doesn't take you minutes to structure your questions & answers, that's your personality too. I'd better take an Introvert/Extrovert quiz to confirm this.